Are you looking for a way to incorporate quality art instruction into your homeschool day? 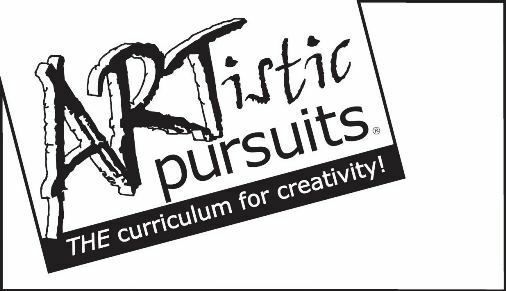 ARTistic Pursuits Inc. may be just the company you are looking for. With courses from preschool through high school, there is something for everyone. 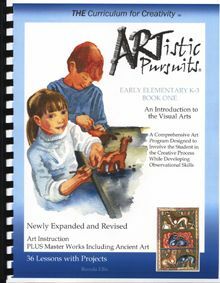 ARTistic Pursuits strives to teach the skills and techniques of art in combination with observation skills. Visual awareness, artistic expression, and technique development work hand-in-hand in each lesson. Observing nature is something innate in children and ARTistic Pursuits Inc. allows the student to explore their natural curiosity while creating personal works of art. The lessons are detailed enough to teach the skills and history needed but the assignments are broad enough to encourage the students to express themselves through the products created. 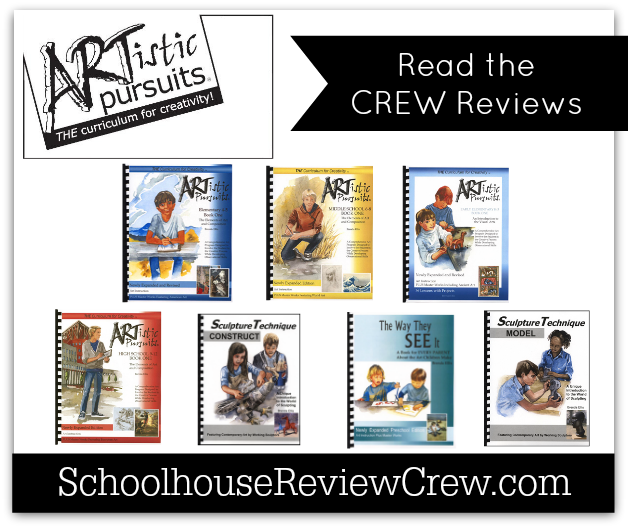 The Crew has had the opportunity to review the following books that ARTistic Pursuits offers. 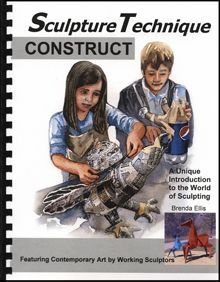 Sculpture Technique Construct – Ages 11-18 – This book helps students discover the world of three-dimension. From papermaking and paper mache to working with cardboard and wire, the lessons in this book teach the student the processes of working with various materials to create the product of their choice in 3D. 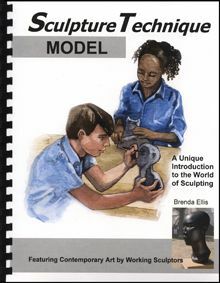 Sculpture Technique Model – Ages 11-18 – This book builds on the techniques of Sculpture Technique Construct and teaches modeling methods. The lessons in this book instruct in the techniques of working with materials such as putty, clay, and wool. 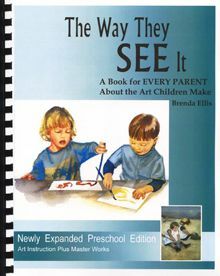 The Way They SEE It, Preschool – Ages 3, 4, and 5 – With 26 lessons featuring master artists, each lesson gives preschoolers experience with creating art. First Skills gives parents and teachers additional lessons in new skills such as scissors, paint, and adhesives. 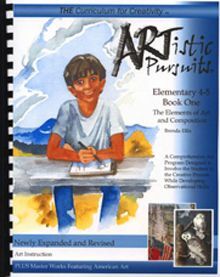 K-3 Book One – Ages 5 and up – With master works and colorful illustrations, this book guides the students through processes an artist goes through, how to use an artist’ materials, and the many subjects artists observe. Students will use crayons, pastels, watercolors, and more as they create their own works of art. 4-5 Book One – Ages 9 and up – Students delve into the works of American artists and learn to produce final pieces of artwork that employ the techniques of artists. Using scratch art, pencil drawings, and markers, students will show their own skills growing through their projects. 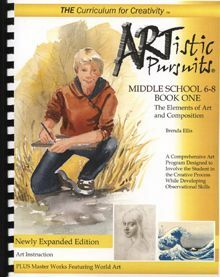 Middle School Book One – Ages 11 and up – Study of the elements of art and observation of master works from around the world will allow middle school students to grow their techniques. Using graded pencil drawings and ink, the students will work through lessons that explore line, shape, value, symmetry, perspective, and proportion. 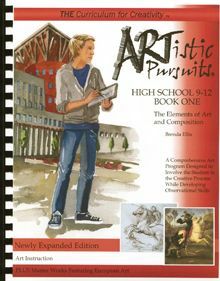 High School Book One – Ages 14 and up – This is an in-depth look at the elements of art and composition. The students will create original works using graded pencil and charcoal while studying the artists and movements of Western art and European masters. Explore ARTistic Pursuits through the Crew reviews below or find them on Facebook. Thank you Lori from At Home: Where Life Happens for writing this post.